Véronique Sanders was obliged to work with very small yields of just 20hl/ha. However, the result is extremely good. A fine bouquet of violets, peonie, blackcurrants and cassis lead into to fairly structured palate with lifted graphite, mineral complexity that is characteristic of the Graves. The palate is concentrated, balanced and elegant – dare one say, feminine ? Bravo! Yet again, a lovely wine from Veronique Sanders. Dark intensity with glossy purple rim; typical blend of 60% Cabernet, 32% Merlot and 4% each of Cabernet Franc and Petit Verdot. Beautiful composed nose of plums, graphite, quite cool, soft and silky and lots of flavour - violets, floral, spice. Lush and fresh on the finish, with great balance. A firm, big wine with powerful tannins and a deep structure which will be for long ageing. 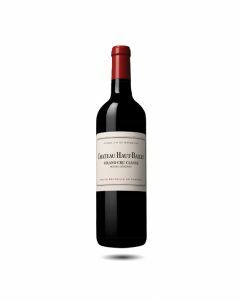 On the nose the wine is sweet, ripe and quite floral with attractive open fruit flavours. On the attack the wine builds in power with berried fruit, some notes of rose hips and spice and lovely purity. A very special wine, this will take some time for all the complex elements to knit together.